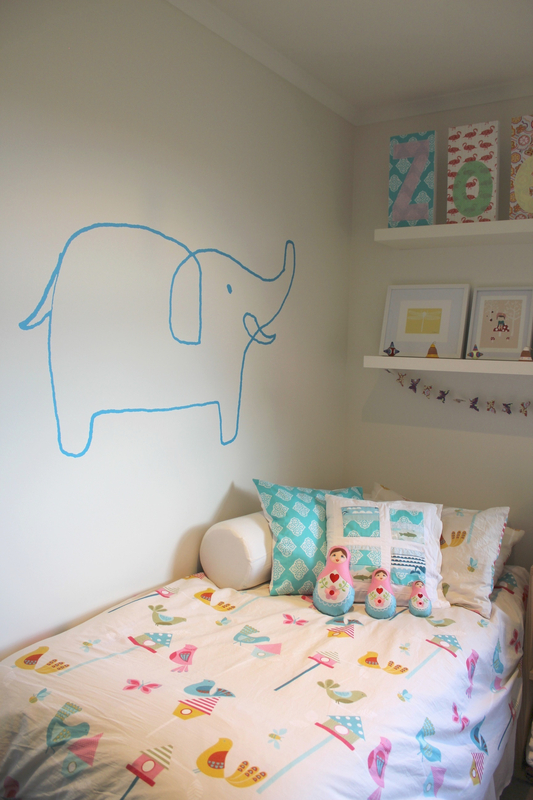 I’ve been decorating again… I have an obsession with vinyl wall stickers | Hey Bernice! Not that it’s been an easy obsession to hide… you try hiding a 1.5m x 1m black bicycle on your hallway wall, four green lace hearts, and a turquoise elephant – it’s challenging! 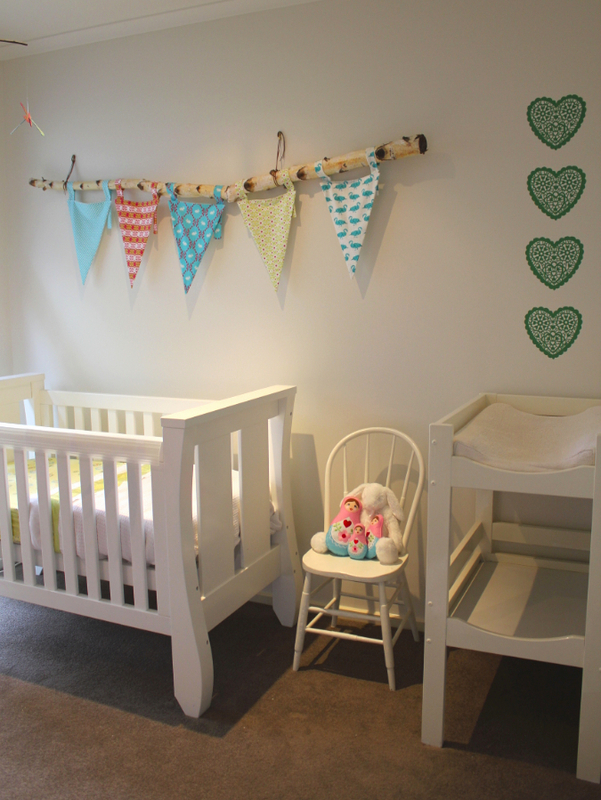 It’s such a clean and simple way to add colour and decoration to a room. What’s more, when I get sick of it (which I can guarantee will happen! ), I simply peel it off and find another one! 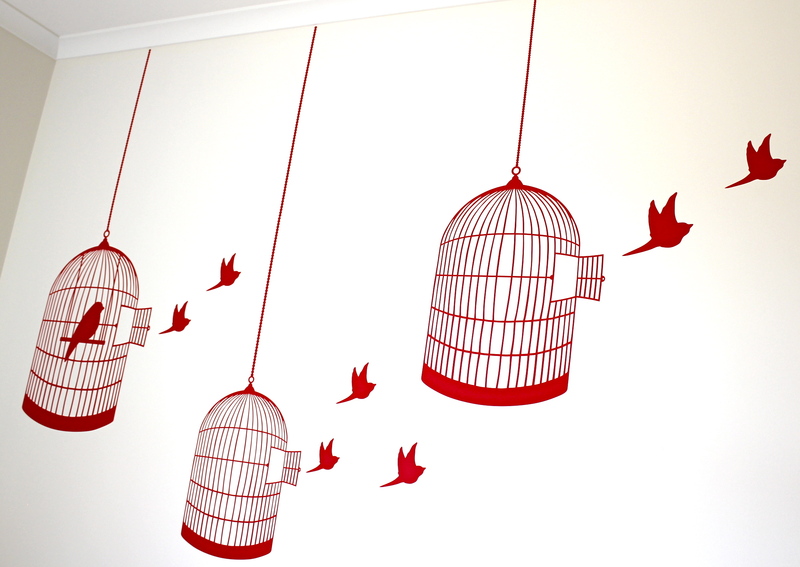 Naturally, with the arrival of Zoe I hunted down another appropriate wall sticker. This time a blue elephant… which Heidi calls an Eff-el-fe-cant, a much harder word to say than elephant.. go figure! And won! So they gave me a $200 voucher to spend on MORE vinyl wall stickers. All that did was feed my addiction. Not what I needed! So of course I went shopping. I started looking at walls in our house in a new way. Asking myself “could I put a sticker there”, “would a big fish go there”, “will a surfboard look good down the end of the hall there”… it drove my husband nuts! We had very different opinions about what to buy with my voucher. So I fixed that. Seeing as it was ‘MY’ voucher, I bought everything during the day while he was at work. It’s a real feature in the hallway, Heidi loves it.. and my favourite thing about is it’s different! What I didn’t tell you was I also had four blue fish, purchased with my voucher… but I resisted. I thought I would do a Chanel… look in the mirror and take one thing off. That was my fish… I didn’t need them. Very wise decision, I’m borderline overdoing it with Vinyl! Go have some fun with vinyl… it’s very addictive. 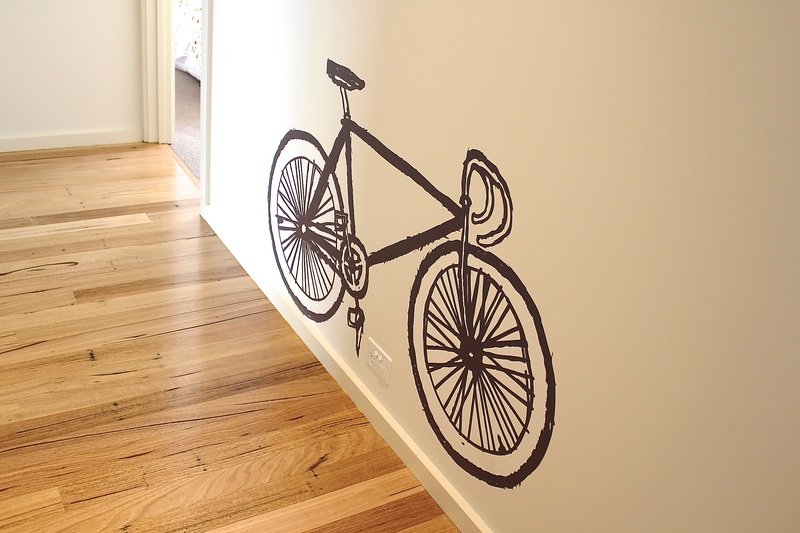 Where can i purchase that fixie bike wall sticker?! You can buy the fixy there!